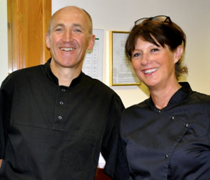 Huw and Kate Winstone have been the Practice Owners in New Ash Green since 1985 and built New Ash Green Dental Centre in 1994. It is a modern, welcoming, and pleasant building purpose-built for dentistry and we are very proud of it!. Huw qualified in 1980 and has worked in general dental practice since then. He is, however, very busy working as an Advisor in Dentistry to Medway and West Kent PCTs and also as Associate Dean in the University of London Postgraduate Dental Deanery overseeing the training of dentists new to general dental practice. He also is an advisor to The Dental Protection Society, mentoring dentists who have found they need help or advice. Kate qualified in 1980 from Kings College Hospital and continued to work in paediatric and maxillo-facial dentistry at Kings before doing a PhD in Pathology in 1985.Kate most enjoys working in general dental practice and has developed an interest in cosmetic dentistry and also, more recently, Invisalign. Kate works in the practice 2 and a half days a week. Paul has lived locally for most of his life and qualified from Guys Dental School in 1982. He joined New Ash Green in 2000 and works here full time in general dentistry. Rav graduated from the University of Manchester Dental School in 2004. He completed his Vocational Training in 2005 and has since worked in both private and NHS practice. Rav enjoys all aspects of general dentistry and aims to provide care of the highest standard with his patients comfort and well-being as a top priority. He has a particular interest in Aesthetic dentistry and Dental Implants. 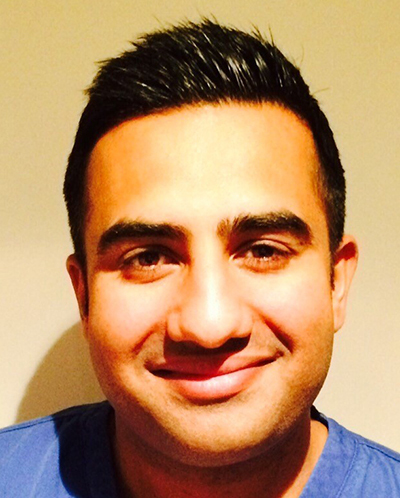 Rav is continually looking to develop his skills as a dentist and is a firm believer in postgraduate training. He has successfully completed a course in Restorative Dental Practice at the prestigious UCL Eastman Dental Institute and a Diploma in Implant Dentistry at the Institute which he completed with distinction. He is an Invisalign certified dentist and is able to carry out ‘smile makeovers’ by the use of his restorative skills or by straightening teeth with the use of Invisalign. He is also fully trained in Enlighten Whitening and is able to offer teeth whitening using one of the world’s leading whitening systems. Jane qualified in1982 from Sheffield Dental School and has gained her MSc in Paediatric Dentistry. She is obviously our resident expert in children’s dentistry and has particular interest in treating trauma to children’s teeth. Jane joined us in New Ash Green in 1998 and usually works on Wednesdays and Fridays. Sarah has worked within the dental field for 14 years. In this time she has gained extensive knowledge and valuable experiences within both the private practice and hospital/community fields which also included teaching at Kings College London. Dental Hygienist are uniquely qualified to assist in the prevention & treatment of oral diseases, focusing on periodontal health by monitoring oral hygiene practices & assisting the Patient to develop a homecare plan to maintain oral health as well as performing whitening techniques. Dental Therapist have the added qualification which enables them to carry out routine dental procedures on children & simple restorative work on adults. 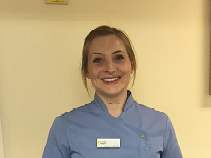 On the days Sarah is not working at New Ash Green she splits her time between a number of Kent based practise. Stephanie qualified as a dental hygienist and therapist from Kings College in 2010. She has worked in a number of private dental clinics as well as running an oral surgery assessment clinic routinely taking radiographs. She has a particular passion in educating patients in the importance of dental health and prevention of periodontal disease and dental decay, working hard to provide a comfortable experience for all including the extremely nervous. Her time is divided between a number of practice, with previous experience at in implant clinic in central London. 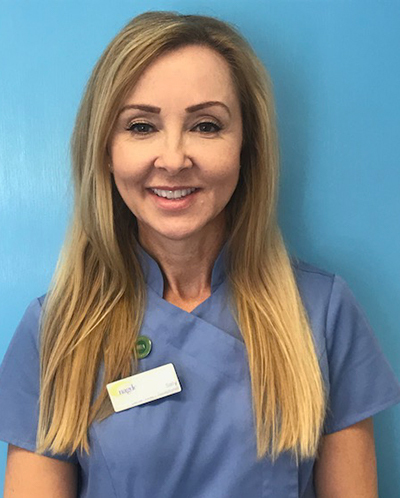 Becky has been working in dentistry for over 20 years in a variety of roles including reception and dental nursing. Becky qualified from the Eastman Dental Hospital (UCL) in 2003 as a Dental Hygienist and Therapist. 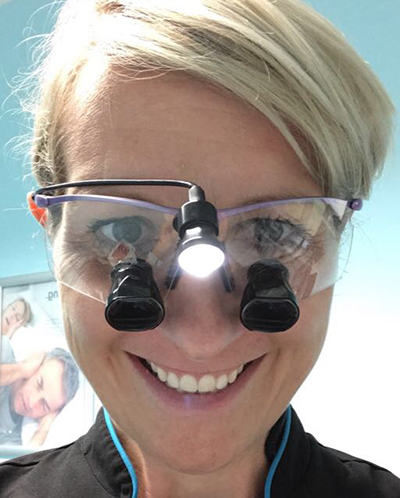 Becky has a gentle approach so enjoys treating children and nervous patients, helping to build up their confidence in the dental chair. She believes that education and prevention are key to a healthy mouth. In her free time Becky enjoys walking her dogs, riding horses and spending time with family and friends. Ewa has worked with in Dentistry for 12 years. Ewa achieved a Dental Hygiene Diploma in Sopot, Poland, her experienced of working in private practices has led to a great understanding of the requirements needed in particular, nervous and dental phobic patients. Ewa has a keen interest in the Promotion of Oral Health. On the days Ewa is not here her time is spent at another Kent based practice. I joined the practice team in January 2008. I qualified as a dental nurse in 2010. Throughout my time at the practice I have gained a lot of experience in cosmetic dentistry, orthodontics and facial aesthetics. I have also trained on implant courses and now nurse for implant dentistry. Outside of work I enjoy spending time with my family and friends. I recently joined the Dental team and qualified as a dental nurse after a 16 year break. Outside of work I am a busy mum of two. In my spare time I enjoy reading, walking by two dogs and seeing friends. I joined the team in 1991 and qualified as a dental nurse in 1994 before leaving to have twins in 2002. Last year I returned to nursing I was thrilled to join the team again and received a warm welcome back. I am a very busy mum to 3 and have recently finished building my dream home alongside my husband. I joined the practice 1 year ago and I have 10 years’ experience as a Dental Nurse/Receptionist. In my spare time I like to go sea fishing and spending time with my two children. I am delighted to have been a part of the practice for over a decade now! I qualified as a registered dental nurse in 2007. In addition, I gained a certificate in Oral health education in 2015. I previously enjoyed my position as senior receptionist but the time has come to move forward and I have been handed the badge for practice manager! I am delighted to undertake this new profession and continue to work close with the great team here at New Ash Green Dental Centre, And of course our ongoing existing and new patient’s to the practice. I am in the practice 4 days a week and on my day off I have two young boys to attend too that keep me more than busy! I originally joined the practice in 2001, and left to start a family, I was then lucky enough to be able to re-join this great team in 2009. I qualified as a dental nurse in 2001. I am full-time mum to two boys, so outside work this takes up all my time. I have been a qualified dental nurse for many years, and joined this great team in 2013. I still work at the outside hours emergency services assisting pain and trauma cases., and providing agency dental nursing when I am able. In my spare time I enjoy going to the gym, running and spending time with my family. I joined the practice in 2014, and I have been a dental Nusre since 2011. When not working I spend time with family and friends and pet dog, plus renovating my house. I joined the practice as a Dental Nurse in April 2016 and received a very warm welcome from all the team. I thoroughly enjoy working both on reception and alongside the dentist’s in the surgery. Outside of work I like to spend time with my friends and family. 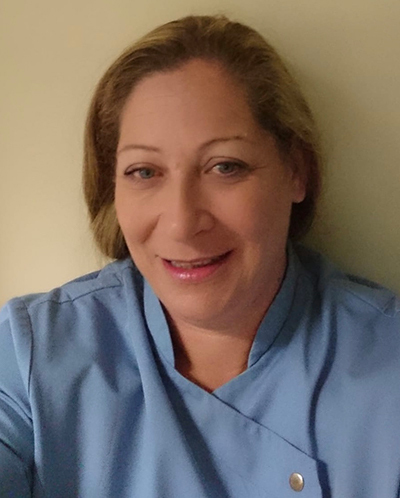 I Joined the practice in January 2010, and thoroughly enjoy being part of this excellent team .I have been in Dentistry since 1974. and worked as a dental nurse for 21 years before progressing into management I am the practice’s CQC registered manager. CQC Manager ID No is-1-15 3052496. I am now the Business manager and manage all financial aspects of the practice just working 3 days per week. Outside work I enjoy spending time with my husband as well as cooking, reading, gardening and crafting. Having spent most of my adult life in Vancouver, Canada. I now work as a receptionist at the practice since 2010. I thoroughly enjoy working here. My colleagues are a great bunch to work with, thus making it a good teamwork environment. This makes the practice attractive to patient present and future. In my position as a receptionist I feel that it is important to create a good rapport with patients as this leads patients to return often. I enjoy cooking, gardening and crafts. Also, I enjoy walking my Springer spaniel who is a pet therapy dog. 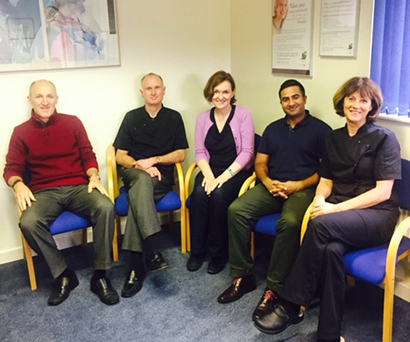 New Ash Green Dental Centre is happy to have a new addition to our team of clinicians. Since graduating from the University of Sheffield in 2004, Arti has been committed to providing the highest level of ethical dental care for her patients in a gentle and safe manner. Arti is dedicated to providing her patients with a healthy and confident smile. Arti was awarded a diploma from the Joint Dental Faculties of the Royal College of Surgeons of England. Arti’s passion for dentistry has seen her undertake numerous postgraduate courses. She has focussed her training in cosmetic and aesthetic restorative dentistry as well as facial aesthetics. Arti has successfully become certified in Invisalign and Inman Aligner to provide cosmetic adult orthodontics. Arti is also certified to provide facial aesthetics and rejuvenation. Arti recently won the Best Lip Sculpting award at the International Academy of Advanced Facial Aesthetics in November 2018. Her commitment to improving her skills and contributing to the profession has also seen her become a member of British Dental Association, RCS Faculty of General Dental Practice (UK) and British Academy of Cosmetic Dentistry. Arti is also the Vice Chair of the Women Dentists Network. In her spare time Arti enjoys travelling, attending music concerts, and following Formula One racing.